I knew I wanted to join a sorority when I came to Emory, but I didn’t know anything about what I would end up going through to receive a bid. I went into the process of recruitment as open minded as possible about Greek life, trying to ignore the stereotypes. On the first day, we all wore the same thing — jeans and our recruitment t-shirt. From the start, we were all identical, save for our bodies that could be easily judged through our uniformity. For every day after, we were given a dress code. It often felt like our appearances were being judged more than our personalities. For the first time in my life, I felt self-conscious about my short, curly hair. Everyone in line around me had long, straight hair. With the exception of one sorority, I didn’t see a single sorority member with short and/or curly hair. Little things that weren’t the same as everybody else or didn’t fit the mold of what a sorority sister should look like could make you feel uncomfortable. Each day of recruitment, we were all lined up, single file, in the cold (although it was made a bit more bearable by ATO blasting “Frozen”). We would be silenced by the Pi Chis if caught conversing. Even in off-rounds, we had to sit in silence and watch movies that were directed towards us being stereotypical girls; chick-flicks we watched included “Clueless” and “John Tucker Must Die”. Their justification for this strict silence was so that we couldn’t talk about the sororities in order to ensure our decisions of them were our own. I fully support what they were trying to achieve, but it didn’t work. Girls still talked about stereotypes during recruitment and during their normal lives. When you try to be accepted by a group of people you admire, rejection is hard. Walking to and from the off-rounds, fraternity brothers would sit outside to watch and occasionally catcall us. Walking into the lodges we were grabbed by a sorority member and guided down a long line fenced in by other members singing loudly. Over 50 girls could be in a room at one time, and the only way to be heard was to practically scream. After talking to someone for either an eternity or not long enough, you had to talk to someone new. You can’t truly get to know a person in 10 minutes, so how can they decide if you should be cut? You may think that you hit it off with everyone you met at a particular sorority and still get cut the next day. We were told that the process is a mutual selection. You are allowed to de-select sororities and rank them, but even if you drop one sorority, you can still be forced to go back to them and the sorority you ranked first could drop you. 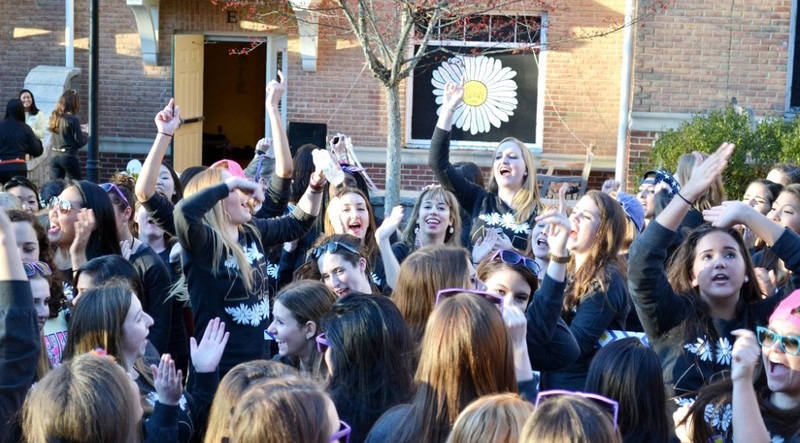 It felt like we were completely at the whim of the sororities and our opinions didn’t matter. I saw plenty of girls elated when they were called back to their favorite sorority. There were also girls crying over getting cut, which is a major blow to your self-esteem, because you never knew why you were cut. When you try to be accepted by a group of people you admire, rejection is hard. Some people are able to thrive during recruitment because of their personality; however, a lot of us do not. It felt like we were being judged on our appearance, GPA, personality and everything else. It is strange how on Bid Day some women are supposed to call the people who judged them for the past two weeks their sisters. As somewhat of an introvert, I grew as a person and came out of my shell during recruitment. The whole purpose of doing recruitment is to put yourself out there and find a group of women who accept you. We think that we have to fit a mold, but in reality, you should just be yourself and find the people who appreciate your uniqueness. Towards the end, I decided to embrace my uniqueness by wearing purple mascara and singing the Greek alphabet song that my mother learned when she was in a sorority at Emory. Through the conversations I had with amazing individuals at each sorority, whether real or fake, I learned new things about myself like how I am defining myself as my own instead of as just a twin and why I wanted to be part of a sisterhood. Everyone’s experiences and opinions differ on the process of recruitment. I believe in the institution of sororities (I would not have rushed if I didn’t); I only take issue with the process of recruitment, which does not accurately reflect the wonderful people within each sorority. I was fortunate enough to make it through recruitment and receive a bid from my first choice; I proudly carry my new letter bag around campus. Asst. 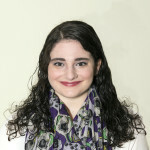 Student Life Editor Hayley Silverstein is a College freshman from Atlanta, Georgia. [email protected] | Hayley Silverstein (18C) is from Atlanta, majoring in French and on the pre-med track. She joined the Wheel the fall of her freshman year as assistant student life editor and served most recently as senior editor. Hayley is involved in clinical research for Emory School of Medicine’s Division of General Medicine and Geriatrics and is a sister of Delta Phi Epsilon.